John joined United from Strathtay on an 'S' form in January 1977. 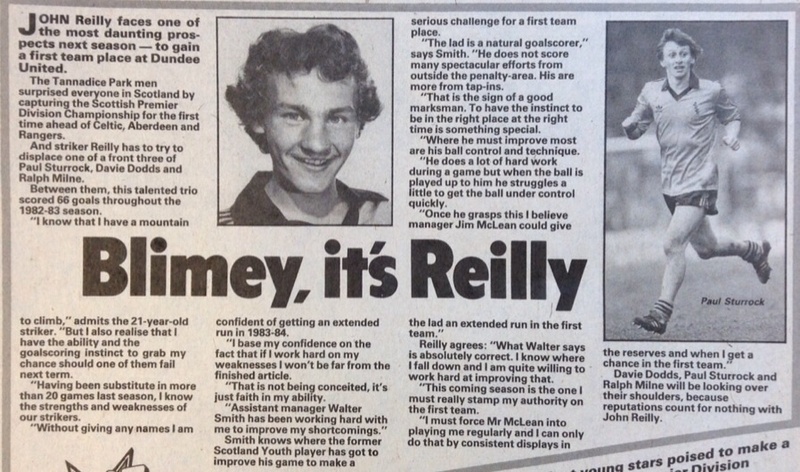 A Scotland schoolboy international, he was called up for United reserves in the latter half of season 1978-79. His performances in the second eleven earned him a place in the Scotland youth squad and a United first team debut in February 1980, as a substitute against Hearts in a friendly. Exactly six months later he made his first appearance in major competition from the bench, replacing Derek Stark against East Fife in a League Cup tie. Over the next three seasons he played mostly in the reserves, but made 36 first team appearances, mostly from the bench as he struggled to break the successful Davie Dodds/Paul Sturrock partnership. Nonetheless, he was an important squad member throughout the 1982-83 season, making a significant contribution with seven League goals as United went on to finish the season as Scottish Premier League champions for the first time. 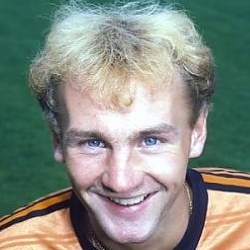 With Paul Sturrock missing most of the first half of the 1983-84 season through injury, 'Boney' was given a run in the starting eleven, scoring four goals in a week at the end of August. He then etched his name into the history books by scoring the Club's first ever European Cup goal, two minutes into the first round tie against Hamrun Spartans in Malta. He was an unused substitute in the semi-finals of that competition as United lost out to Roma towards the end of the campaign, but on a personal level he finished that term with an impressive 13 goals in 28 appearances. Manager Jim McLean began to slowly rebuild the squad over the next couple of years, and after finding himself further down the pecking order following the arrival of Tommy Coyne, John was eventually signed by Jim's brother Tommy McLean at Motherwell for a reported fee of £50,000. In his first season there, John made his old pals suffer, scoring both goals in a 2-0 defeat at Fir Park in March 1986. He played in over 50 matches for Motherwell, but in 1987 an Achilles tendon injury picked up not long after his move to Fir Park forced him to retire at the age of just 25. However, advances in surgical techniques gave John the chance to get back into the game four years later and he signed for Dunfermline Athletic in 1991. He moved to East Fife two years later and then had a spell at Cowdenbeath as player/manager. He was then briefly at Arbroath, Forfar Athletic and Albion Rovers before retiring in 1996. John was born on this date in Dundee. 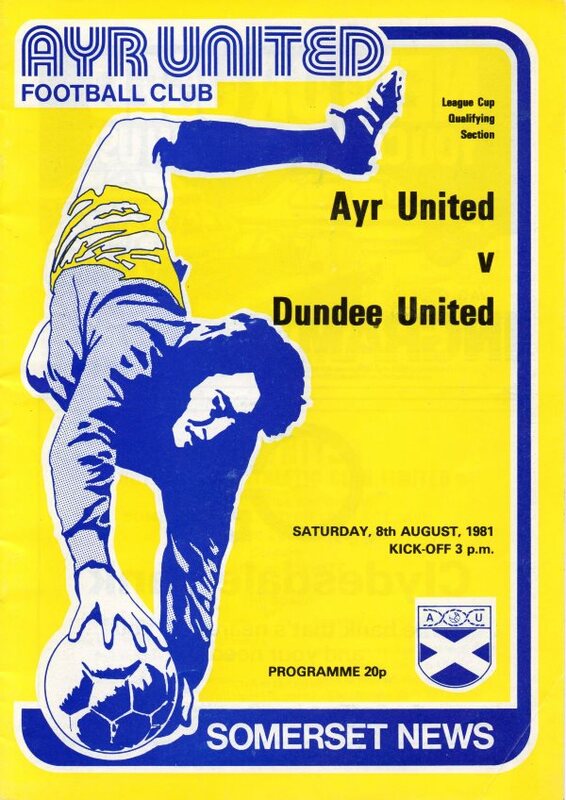 With United well in control after the 1st leg at Bayview, manager Jim McLean handed a first team debut to 19 year-old full-back Derek Murray, and ex-Hibs striker Joe Ward returned to the starting eleven after being an unused substitute at the weekend. After winning the first leg 4-0, the second leg of this quarter final League Cup tie was almost academic. 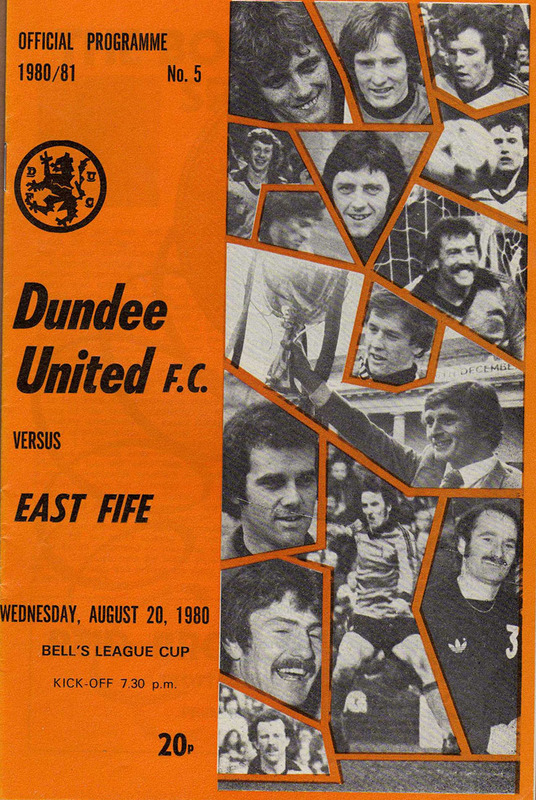 The Tannadice eleven showed four changes from the one which had lost at Airdrie and whilst it took the recast side a wee while to get going, when they did there was no holding them back. Although United took the field minus half-a-dozen regulars, they still managed to beat Rangers, the side we find the hardest to beat. Two ahead at the break, United appeared well on the way to a comfortable victory but a fighting Rangers outfit almost wiped out the deficit in the second had in which United slipped down a gear.